Manchester City boss Pep Guardiola has advised Everton to stick with under-fire Marco Silva if they believe in his ability as there are no guarantees that a new manager can come in and improve results immediately. Everton invested heavily on new players in the close season but results have hardly matched expectations, with Silva's side managing three wins in their last 12 Premier League games to heap pressure on the Portuguese. "My advice, if they believe in the project, if they believe in him, they have to move forward with him. "Nobody assures you a new manager is going to do better." 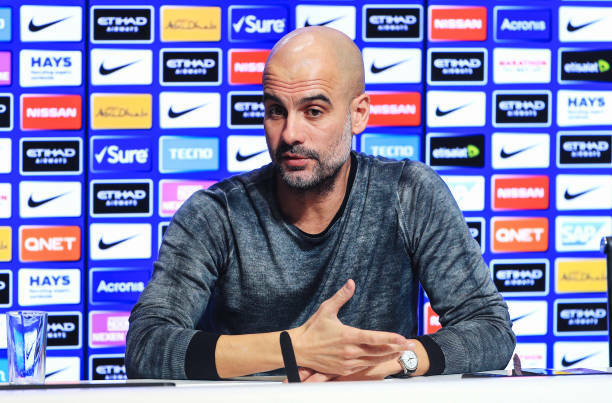 Guardiola did not enjoy success at City until his second campaign when he won the league title and the League Cup last season and stressed the need for clubs like Everton to keep faith in their managers. "It's difficult to create, to build something. You need time, it takes time. So it depends if they trust (Silva) or not," Guardiola added. "The people don't know how difficult it is to create teams. People believe I buy three or four players, a new manager, and everything fits perfectly. Sometimes it takes time." Man City are second in Premier League table with 59pts seven places above Everton.